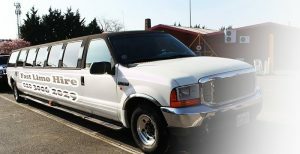 Hiring a limousine for your wedding is a fantastic decision. A beautiful vehicle like a stretch limo or practically any other type of that class contributes a great deal for a great experience. It affects not just the newlyweds, but also guests and family members. 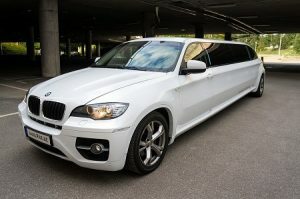 DO – book a service in advance – if you have firmly decided to hire a limo for your wedding, you should book in advance. You will minimise the risk of hitting a wall with finding an available service. Besides, the best and most preferred vehicles usually get booked pretty fast. It is not an exaggeration to say that you should book the limo few months in advance. It is best, as it will give you time to address other aspects of planning the wedding. DON’T – hire a small limo – the main issue with small limousines for wedding events is the danger for the bridal gown. A small car can in fact squash the dress. It is best to plan for an entire back seat just for the bride so that she can spread the dress across if necessary to avoid ruining it before the ceremony. DO – plan for an extra time upon arrival of the limousine – don’t just assume the limousine will come and everyone will hop on right away. On a more realistic note, you can expect at least 15 minutes delay for photos and for people to enjoy the beautiful limo. DON’T – cut prices for lower quality – a limo is going to play a significant role on your wedding day. It will be featured in many photos and provide transportation for the most important people of the wedding. That is why the vehicle should be worthy of such interest. Weddings are special after all, and it is worth it to get a better quality limo along with an experienced chauffeur since that will only enhance the experience. DO – consider the number of seats – a larger bridal party calls for a bigger limo with more seats. It is not worth it to go for several vehicles when one can perfectly suit the needs of many people. DON’T – decide what limo to get based on a catalogue – a lot of companies put up photos merely for illustration purposes. You should be very specific about the model limousine you want to hire. Of course, it is best to view the vehicle yourself, so that get a better idea of what it is and whether you want to choose a different one. By following the dos and don’ts listed here, you can be sure that your limo hire will be a success. You will appreciate a beautiful limo and so will every other guest.